Here’s an incredible story and video of the accidental take-ff of the Victor long range RAF bomber some years ago. Fortunately nothing serious happened at this instance ! I have to apologize I guess for leaving this site hidden in the bushes for so long. Fact of life unfortunately is that I don’t have enough time to see to its updates regularly. Such is life…… maybe when I retire in 20 years or so….. for now you’ll just have to suffer very few and irregular update intervals. The reason I posted this is in fact a wake-up call by one of my readers, sending me info on a wonderful museum waaaaaaaaaay down the world from here….. in New Zealand! If you ever get the chance to visit Tuaranga Airport then please check ut the Classic Flyers Museum here !!! “….During her career, well over two hundred airmen flew in J. None were killed while doing so, but ninety-six of them died in other aircraft. This is their story, and the story of one lucky Lancaster…..”. 200 pages, hard cover. That may not seem like much. It is less than one page for every man that served on the Lancaster bomber with registration W4964, WS-J, aka J-Johnny Walker. Still, it took me quite some time to read the book. Where ‘read’ is probably not the proper word. I rather ‘researched’ it. And that takes time. Lancaster W4964 beat all the odds, seeing that it performed well for over 2 years – from April 1943 till October 1944, made 107 operational flights in that period, and survived the war….. and even the century ! Average lifespan for a Lancaster in front-line duty at that time was 22,75 flights only ! And here’s another bit of news. Recently yours truly was asked to assist in researching the whereabouts of a WW2 glider pilot who flew gliders in three distinct European WW2 operations: Overlord Neptune (D-Day landings), Market Garden (battle of southern Netherlands) and Varsity (battle of securing Rhine bridges near Wesel. Robert Brown’s father was the pilot and together we are trying to find where exactly he landed. And to make more use of all the stuff we turn up in our search, I decided to write a book about the ‘quest’ AND to keep a blog of the work we do on this project. So if you are interested in learning more, follow us here on the blog of WW2Glider ! Related to old aircraft, aviation history and World War2, and linked firmly to the flight simulator hobby so many hundreds of thousands of people all over the world still indulge in, here is FSClassics.com ! Set up initially to further the products of FSAddon Publishing, notably their WW2 range of aircraft, it is now expanding into much more. Our latest project, called Normandy 1944, will be featured and followed extensively on this site. The aim of Normandy 1944 is to re-enact the D-Day landings within the flight simulator….. not so much as an action adventure – we don’t do shoot-em-up games – but more of a living, 3D diorama of the situation before, during and after the invasion of June 6t, 1944. There is room for other information too of course, and ultimately ‘aviation’ is still the main theme of the site! Arno Gerretsen and Francois Dumas will have a shared booth at the NL2000 group. They are both enthusiasts of Google Sketchup, with Arno being the ‘Pro’ and Francois the ‘Amateur’. Together they’ll do a presentation on Sketchup for Beginners at 15:00 pm. In their booth they’ll be ready to tell you all about – and SHOW you! – Google Sketchup and its tools, ways and possibilities. Arno is the ‘main man’ behind FSDeveloper.com, the world’s main forum, wiki-site and container-of-nice-tools for FS developers and enthusiasts. Francois is of course the owner of FSAddon Publishing, SupportMyFS (soon! ), AVClassics, Silver Cloud Publishing and a few other FS related ventures, and writer, photographer and traveler of anything-aviation for the past 40 years or so. COME AND VISIT THEM to learn more, or just for a chat about our favorite passtime: Flight Simulator. Venue: Aviodrome aviation museum, Lelystad, The Netherlands. November 5 and 6, 2011 ! Yesterday I added a new museum to the list, the National Air Force Museum in Ohio, North America. The problem for some of us is that these wonderful places can be too far away to visit. It is not for everyone to just hop in a plane and fly to Europe, or vice versa. The nice thing about THIS museum is that you can see a LOT of it on-line, on their awesome website here. Wow, how weird! The site I have the least time for lately – THIS one – is attracting the most visitors of all of my sites except for FSAddon ! That in turn tells me I need to spend more time on it……. THANKS for visiting all of you interested in Classic Aviation !! 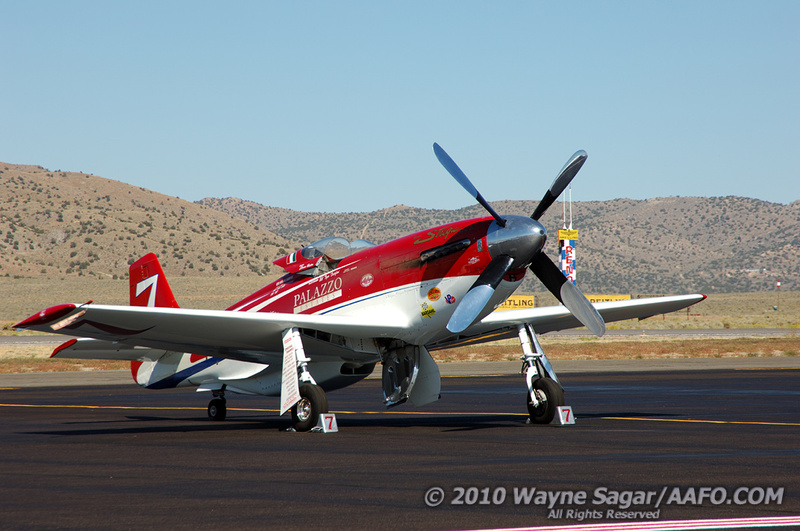 Leave us ‘our’ warbirds, Reno! Don’t get me wrong, I am not opposing speed sports in any way. Have been racing carts and cars myself and would have loved racing motorbikes. But racing dogs, horses, turtles or aircraft is a bit outside of my circle of interest. Then again, if that’s what others like doing, let them. Each to his own and we only live once. No, what I am alluding to is the ‘Ultimate’ class at Reno. That’s the class where people with too much money and not enough culture destroy perfectly good historic WW2 fighters to change them into something they were never built for and never meant to: silly race planes with cut-off wings and nitro engines. That’s where I draw the line, personally. I will support each and every person and initiative that tries to keep old WW2 warbirds alive, even if it means adding some modern day radio or navigation equipment to satisfy general safety (good) or rules set out by not-understanding government authorities (not so good). And maybe these pilots flying the souped-up, cut-off Mustangs and Bearcats even love their planes. Good for them. But pulleez, if you have that much money, do me a favor, get yourself an NFL team and show off in another way. Leave the few icons we have left and thank our democracy to in their original state!! September 17-18-19 at the Goodwood Estate, south of England, THE event for vintage motoring enthusiasts and vintage airplane lovers alike, coming together in the unusual and unique setting of Goodwood. Check out the ‘Featured‘ page ! Yes, no new additions these past 2 weeks. That’s because yours truly was away on a trip through Europe. We’re back now and I’ll continue to add new content. we have some great tips fro various readers that all need to get included. Thank you for contributing !!! Oh, and if all goes well the posts here will also be echoed on our Facebook page automatically!